FastMeasure is a small mobile device that quickly and accurately measures distance. FastMeasure accurately measures parking lots, roadway, driveways, concrete curbs, city sidewalks -- even utilities like power lines, storm and sanitary sewers and gas lines. 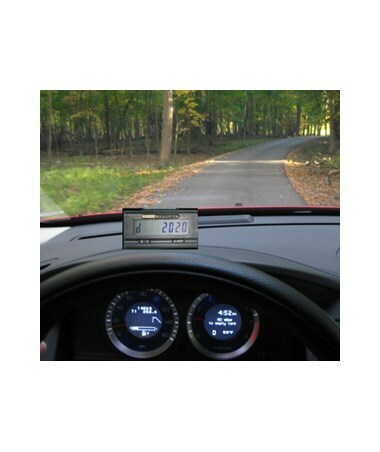 FastMeasure installs in your car or truck and will accurately measure at slow, medium or highway speed. There’s no need to hang your arm out of the window with a measuring wheel anymore! FastMeasure is helpful to owners, salesman, estimators, superintendents, foremen, crew chiefs, operators and more. The FastMeasure vehicle-mounted distance measuring device was developed by a paving contractor for contractors. With its small footprint (3”w x 1.5”h x 1.75”d), it mounts on your dashboard. It is designed to help contractors quickly, easily and accurately measure in the field right from the comfort of your car. FastMeasure will measure anywhere you can drive, on-road or off, any place you can use a measuring wheel and a LOT FASTER. 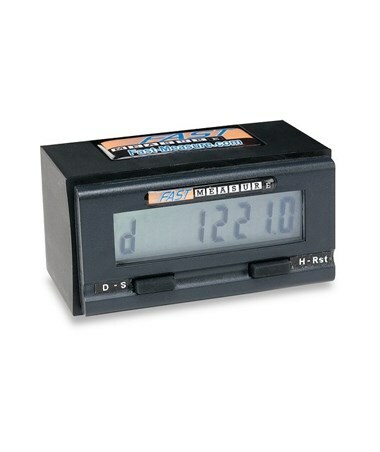 Backlight 8-digit display is 2 1/8" wide x 5/8" tall. The units come complete with everything needed for vehicle installation. The kit includes FM1 Distance Measuring Device, speed sensor, wiring harness, instruction booklet, and 1 year warranty. 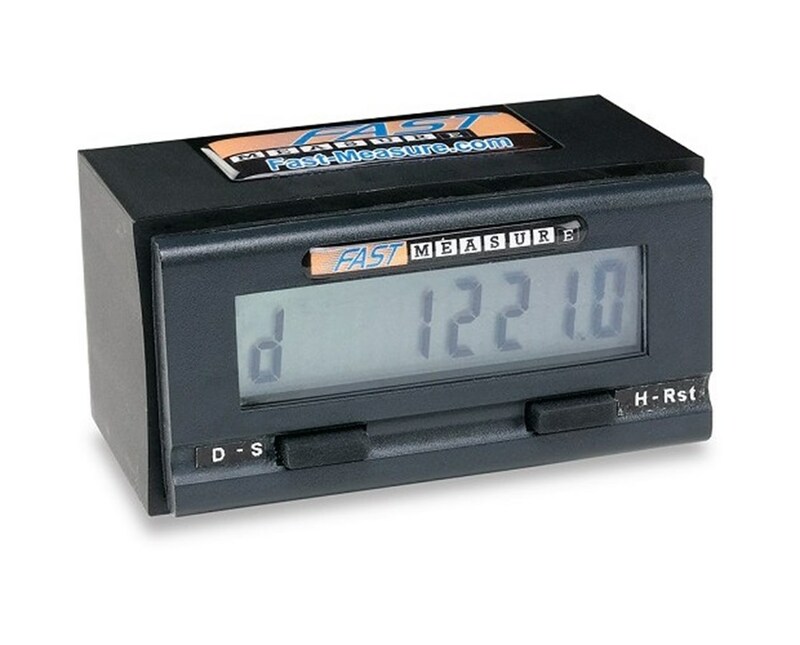 Installation and calibration of FastMeasure is fast and easy; typically about one hour.